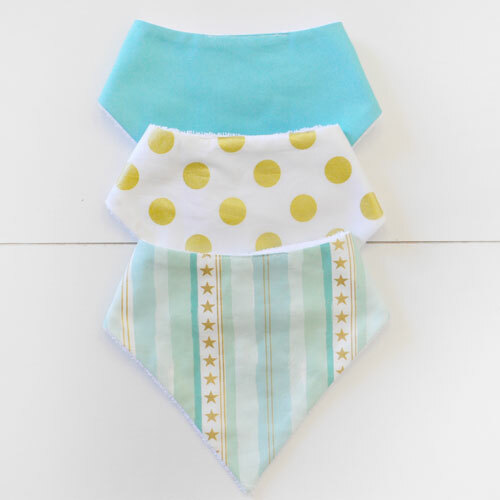 Our absorbent cotton baby bandana bib sets are perfect for when babies start to teeth and drool. These stylish bibs will keep their clothes from getting wet. 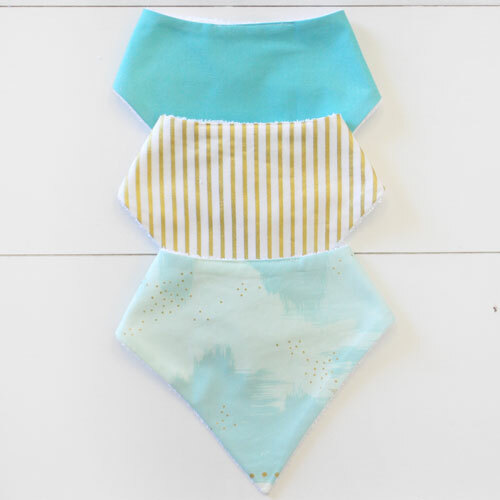 Our 3 pack of cotton drool bibs includes 3 different coordinating bibs made of 100% cotton and backed in terry cloth fabric. Fasten around your baby with velcro. Machine washable.